Confluence are an instrumental meeting of cello (Gill Redmond) and accordion (Alasdair Paton). They play tunes from the UK and Europe. Terrific standard of musicianship and singing. 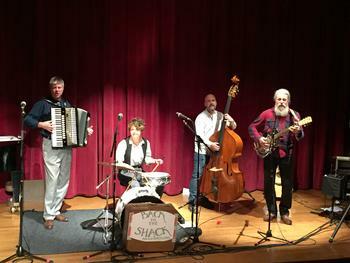 Back To The Shack are a talented acoustic quartet consisting of Axel Keim (Dobro,Guitar) Brett Nevill (Double Bass) Julian Phillips (Accordian) and Izi Onslow (Vocal/Percussion). They have played at many great festival stages, bars, cafes, arts centres and well known venues. They play a heady brew of foot-stomping blues/folk and classic Americana, all performed in their own distinct style. Take time to listen on their website, they are truly outstanding. Sings & play tunes on the Anglo concertina. Traditional and popular American songs from yesteryear. From witty and humorous ditties to songs that explore the depths of the human condition, his singing tells American stories that are hilarious, gritty and true… stories of train wrecks and wrecked marriages, death row convicts and lonesome lovers, heroes, losers, swaggering braggarts, lazy slackers and slapstick fools. Plan to join in on the chorus. Not exactly unknown, film star Richard Gere booked him for a family party! large car park & cheap bar. Please note there is additional free parking close by, available in the council Car park behind The Queens Head (you might need a torch). 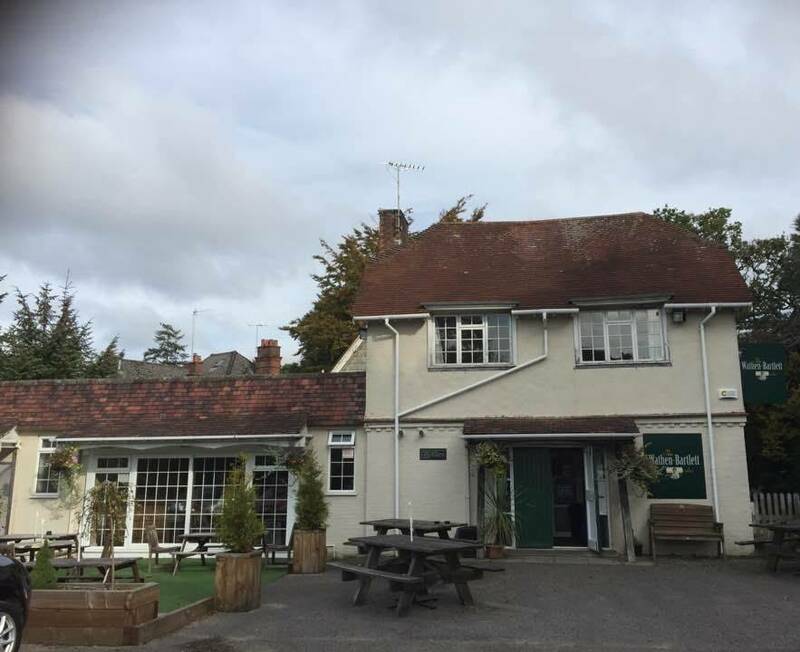 The Queens Head pub offers free parking for customers only.